Welcome the weekend with ANEW U1, the impression (and pun) is right on queue with this white wonder. 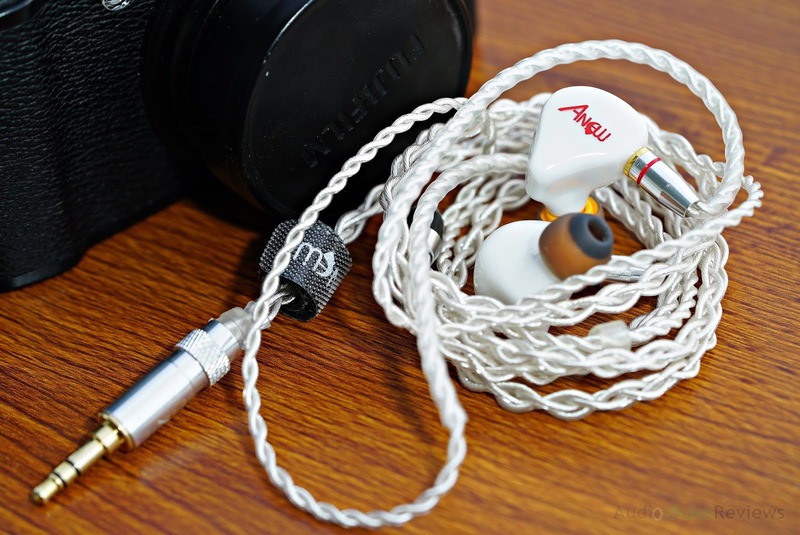 Considering the market is starting to multiply with the $100-150 USD bracket IEMs there's almost fierce competition for your money's worth in this bracket and manufacturers have to find ways to get your business. 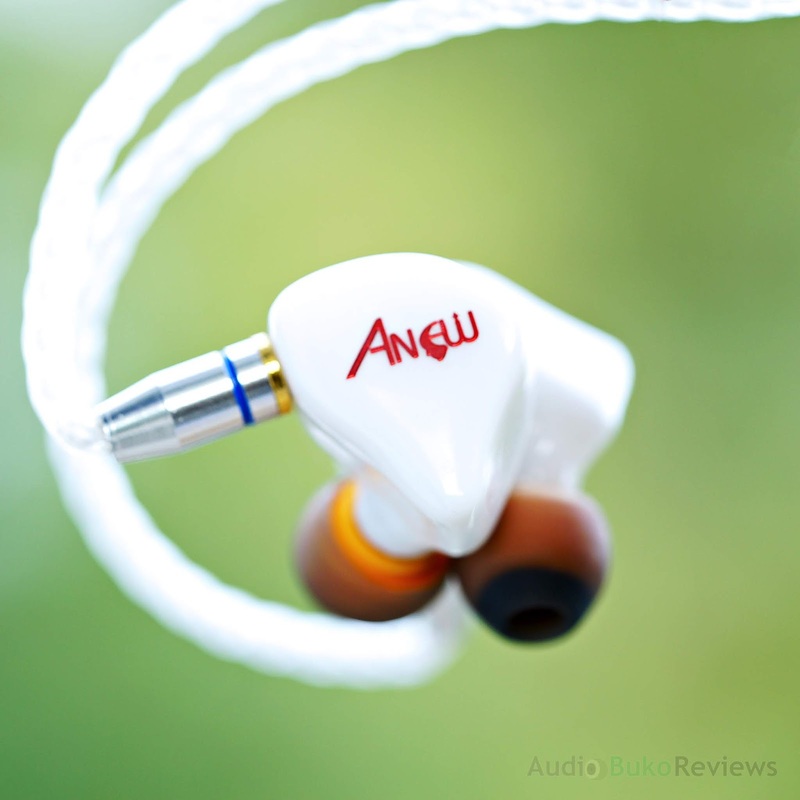 ANEW is, well, new to the game with the U1 as their first foray into the audiophile consciousness, all things considered, it'll be the sound capabilities of an audiophile gear that will determine a products success, so here we go with checking the U1 out. Looks wise the U1 is a bit familiar in shape, something my ears says is a good thing as they're smooth, fit nice and snug. The stock cable, by the looks of things, is a big step up from the typical stock cables, it's soft but not overly flimsy, it's not microphonic, and you can tell the wires are not thin at all but still light and comfy to wear. The stock tips are quite nice and fit well, but as I'm I'm partial to using the Symbio tips for both comfort and familiarity. So firing up the WM1a, I started to listen to the music. Stone Temple Pilots - Creep: The pressure from the impact of the bass drums is strong enough that it is very much felt but does not distract me from the music, but that, in addition to the rather weighty hit and rumbly sub-bass give a good bass experience that's quite a bit above expectation. The mids are happily free from bass bleed and have ample separation, instruments and male vocals sound moderately forward and quite engaging. The guitars sound crunchy with a nails meet metal strings kind of imagery on the left and crisp picking on the right from another guitar. Treble here has a nice extension and good control as the harmonics and cymbal tapping accentuating the music is crisp and harshness free. Sara Bareilles - Come Round Soon: The bass here feels punchy and well extended, lending a nicely cadenced beat to the music. The instruments are quite melodious and fun, playing well with the overall music while Sara's vocals are moderately extended and gives it a bit more intimacy and presence to her voice. Treble is airy with the harmonics and some crashes punctuating the song, but quite importantly, for the level of extension given, there is no sibilance to be found. Metallica - Hit the Lights: The drums sound wonderful here having a full sound and good impact, vocals are never swallowed by the music and various sounds and stay audible and clear. Instruments are nicely detailed and similarly separated. Treble is similarly good with ample separation with all the cymbal taps and crashes with high-hats that are harshness free. In my early impressions of the ANEW U1 having a nicely engineer sound, I'd have to reinforce that notion as it sounds like it's a great balance of engaging tonality and technical capability. About the only part that might be more noticable above the rest is the gorgeous bass but it's the quality of all the frequencies that gives my face a smile that says, this is something more than ordinary and something I'm more than happy to craft a formal review of. Thanks for reading folks!